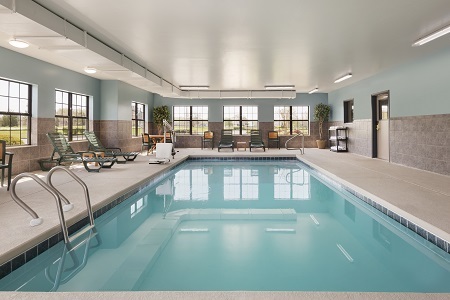 Situated just seven minutes from Salisbury Regional Airport (SBY) and less than 30 miles from Assateague Island and Ocean City, Maryland, the Country Inn & Suites® by Radisson, Salisbury, MD boasts a central location that makes area travel a breeze. Families won’t want to miss a trip to the Salisbury Zoo and other kid-friendly attractions like Altitude Trampoline Park and CROWN, where little ones can burn off energy with sports, laser tag and an arcade. Planning an adults-only trip? Woo your loved one with a romantic evening of wine tasting at Bordeleau Vineyards & Winery or enjoy a competitive round of golf with colleagues at nearby courses like Deer Run Golf Club. 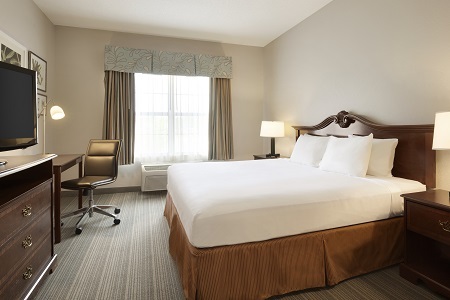 The whole family can spread out in our spacious One-bedroom Suite, which offers the choice of one king or two queen beds in addition to a separate living room with a full-size sleeper sofa and an extra TV. Fuel your family trip to the Salisbury Zoo with the energizing options served each morning at our free, hot breakfast. We offer a rotating menu of hot items including bacon, sausage, scrambled eggs, omelets and potatoes. When you’re ready for lunch or dinner, sit down at a local favorite like the Brew River Restaurant, which treats guests to breathtaking waterfront views along with platefuls of fresh Maryland crab and other seafood favorites. Assateague Island – This barrier island offers one-of-a-kind views of wild horses, salt marshes and the Atlantic Ocean. Drive 29 miles southeast of the hotel, through Powellville and Berlin, to reach Assateague State Park for a coastal day trip complete with swimming, fishing, biking and more. 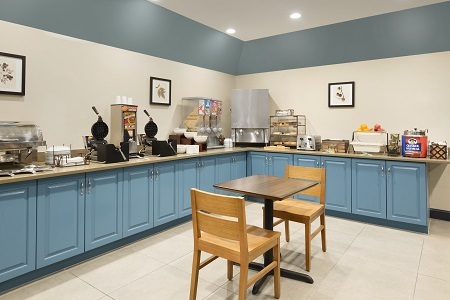 Ocean City, Maryland – The Country Inn & Suites makes an affordable home base for day trips to Ocean City’s shore, less than 28 miles east on U.S. 50. Catch waves on the beach, try your hand at games on the boardwalk, and then return to our peaceful setting for a relaxing night’s sleep. Salisbury Zoo – Looking for family-friendly entertainment? Head to this 12-acre animal sanctuary, where more than 100 animals like sloths, jaguars and alligators await your arrival. The park is only seven minutes from the hotel, and admission is free! Attending a wedding, business conference or family celebration in the Salisbury area? 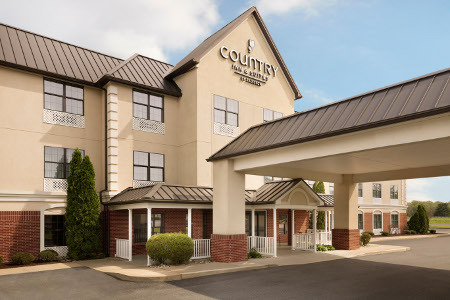 The Country Inn & Suites places you just minutes from top event venues like The Fountains Wedding & Conference Center, Dove Pointe and Wicomico Youth & Civic Center. 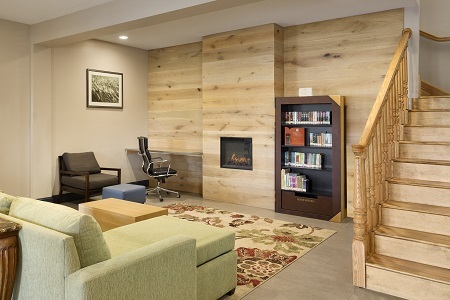 You can cut down on travel costs by reserving a block of rooms for your group, and when it’s time to head home, enjoy an easy seven-minute drive to the SBY airport. Learn more about nearby event venues.